Lactose is a type of natural sugar found in milk and dairy products. Our small intestine is responsible for creating an enzyme called lactase, and lactase is what our bodies use to break down and digest lactose. When people are lactose intolerant, they have a hard time digesting this natural sugar and often experience unpleasant symptoms as a result. Lactose intolerance usually develops in teens and adults. In fact, around 30 million Americans have some degree of lactose intolerance by the age of 20. Babies can also be lactose intolerant, but it typically occurs in babies who were born prematurely. Lactose intolerance can be diagnosed by a few different tests, including a lactose tolerance test and a hydrogen breath test. Treatment for lactose intolerance is treated by simply avoiding consuming dairy products that trigger your symptoms. Obvious foods to avoid include milk, cheese, and ice cream, but lactose can also be hidden in non-milk products, such as beer. If you frequently experience the symptoms of lactose intolerance after eating dairy products, a trip to your local FastMed could be in order. Other stomach problems like irritable bowel syndrome can cause similar symptoms, so it is important to have your symptoms checked by a medical professional. 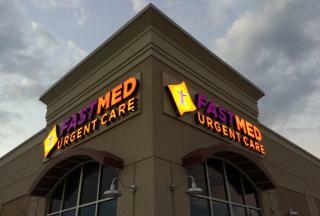 FastMed’s medical professionals are available 7 days a week, 365 days at each of our urgent care locations. We offer extended hours, making it easy for you to speak with a professional about your symptoms at a time that fits your schedule. Stop by a location near you today!